Guests that you are interviewing may not always like where your questions are going. Or they may not understand what you’re trying to get at. Or they may not feel any chemistry with you. And consequently, you may sometimes get ‘the stare”. What is the stare? The stare is a look that lasts just a few short seconds but is full of judgmental, incredulous or dismissive intensity. 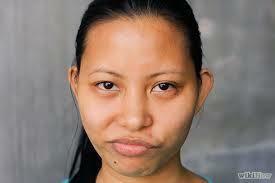 It may be a wrinkling of the brow, a rolling or squinting of the eyes or it may be expressionless. But whether intentional or not, it is a sign that you as an interviewer need to check yourself to make sure you know what you’re saying and how you’re presenting yourself to the interviewee. I say intentional or not because sometimes, savvy interviewees may want to throw you off your game for any number of reasons, ranging from wanting to control the agenda through intimidation to deciding they want to sabotage the whole thing. But other times, it comes from an interviewee who expected more professionalism than they’re getting. It’s not as direct a tactic as confronting the interviewer openly and directly with a hot microphone. What it is engineered to do is silently shake your confidence with shame. First remember the reason for the interview; the guest agreed to let you talk to them about a particular subject. You assumed you had a good reason for inviting the interviewee and that their story would be interesting or important to your audience. So you both want to be there. Next, have confidence in the research you did in preparation for the interview. Interviewees can be intimidated or impressed by you recalling pieces of their life they may have forgotten or didn’t realize were public. You never know which ahead of time. BTW, that research should also include a look at the interviewee in previous conversations (if possible) so you can know something about their personality and whether it’s friendly or combative. Next, have confidence in the path you are plotting through their life as it relates to whatever the subject is. That means, make sure your questions follow some kind of logic/chronology that makes it relatively easy for the interviewee to see they make sense. And ask them those questions with confidence. Finally, respond rather than react when an interviewee gives an answer before or after the stare that seems judgmental, incredulous or dismissive. Respond means wait for the interviewee to finish, take a moment if you need it to compose a follow up question based either on your initial question, or on their response, and ask it directly with no qualifiers. (A qualifier is something you may say before or after a question or a statement that softens it). Ideally, an interview is a conversation between equals, meaning the interviewee is talking with the interviewer who represents a listening or viewing or reading audience. Since no guest is greater than the people in the audience who acknowledge and empower them, they are obliged to treat the interviewer with respect. When interviewees don’t, they are disrespecting the audience and their proxy, the interviewer. But an audience will rally behind an interviewer and an interviewee will engage with that interviewer only if the interviewer is holding up his or her end of the bargain. If they’ve done a sloppy prep job or don’t engage the interviewee with confidence, then they may deserve the stare.